Match ends, Genoa 1, Empoli 0. Second Half ends, Genoa 1, Empoli 0. Foul by Riccardo Saponara (Empoli). Luca Rigoni (Genoa) wins a free kick in the defensive half. Attempt blocked. Piotr Zielinski (Empoli) right footed shot from outside the box is blocked. Piotr Zielinski (Empoli) wins a free kick in the attacking half. Foul by Tomás Rincón (Genoa). Foul by Vincent Laurini (Empoli). Gabriel Silva (Genoa) wins a free kick in the defensive half. Attempt missed. Riccardo Saponara (Empoli) left footed shot from the centre of the box is high and wide to the right. Assisted by Manuel Pucciarelli with a cross. Substitution, Genoa. Diego Capel replaces Goran Pandev. Attempt missed. Levan Mchedlidze (Empoli) right footed shot from outside the box misses to the right. Uros Cosic (Empoli) is shown the yellow card for a bad foul. Foul by Uros Cosic (Empoli). Alessio Cerci (Genoa) wins a free kick on the right wing. Attempt missed. Piotr Zielinski (Empoli) left footed shot from outside the box misses to the right. Assisted by Manuel Pucciarelli. Corner, Empoli. Conceded by Tomás Rincón. Substitution, Genoa. Gabriel Silva replaces Panagiotis Tachtsidis. Attempt missed. Manuel Pucciarelli (Empoli) right footed shot from the centre of the box is close, but misses to the left. Assisted by Riccardo Saponara. Alessio Cerci (Genoa) is shown the yellow card for a bad foul. Daniele Croce (Empoli) wins a free kick on the left wing. Foul by Alessio Cerci (Genoa). Corner, Genoa. Conceded by Vincent Laurini. Attempt saved. Riccardo Saponara (Empoli) left footed shot from outside the box is saved in the centre of the goal. Assisted by Piotr Zielinski. Attempt missed. Goran Pandev (Genoa) left footed shot from the centre of the box is close, but misses to the left. Assisted by Alessio Cerci. Leandro Paredes (Empoli) is shown the yellow card for a bad foul. Substitution, Empoli. Luca Bittante replaces Marco Zambelli. Hand ball by Leandro Paredes (Empoli). Foul by Leandro Paredes (Empoli). Goran Pandev (Genoa) wins a free kick in the attacking half. Leandro Paredes (Empoli) wins a free kick in the defensive half. Foul by Cristian Ansaldi (Genoa). Attempt saved. Panagiotis Tachtsidis (Genoa) left footed shot from outside the box is saved in the top centre of the goal. Assisted by Diego Laxalt. Foul by Levan Mchedlidze (Empoli). Tomás Rincón (Genoa) wins a free kick in the defensive half. Vincent Laurini (Empoli) wins a free kick on the right wing. Foul by Goran Pandev (Genoa). Foul by Panagiotis Tachtsidis (Genoa). Attempt blocked. 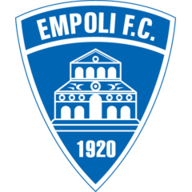 Piotr Zielinski (Empoli) right footed shot from the centre of the box is blocked. Levan Mchedlidze (Empoli) hits the left post with a left footed shot from the centre of the box. Assisted by Piotr Zielinski. Attempt missed. Luca Rigoni (Genoa) header from the centre of the box misses to the left. Assisted by Cristian Ansaldi with a cross following a corner. Corner, Genoa. Conceded by Uros Cosic. Foul by Armando Izzo (Genoa). Manuel Pucciarelli (Empoli) wins a free kick in the defensive half. Goran Pandev (Genoa) wins a free kick in the defensive half. Attempt missed. Levan Mchedlidze (Empoli) header from the centre of the box misses to the left. Assisted by Leandro Paredes following a set piece situation. Manuel Pucciarelli (Empoli) wins a free kick in the attacking half. Lorenzo Ariaudo (Empoli) wins a free kick in the defensive half. Foul by Daniele Croce (Empoli). Attempt blocked. Goran Pandev (Genoa) left footed shot from outside the box is blocked. Substitution, Empoli. Riccardo Saponara replaces Marcel Büchel. Substitution, Empoli. Manuel Pucciarelli replaces Massimo Maccarone. Attempt missed. Tomás Rincón (Genoa) right footed shot from outside the box is high and wide to the right. Assisted by Alessio Cerci. Attempt missed. Diego Laxalt (Genoa) header from the centre of the box is close, but misses to the left. Assisted by Cristian Ansaldi with a cross. Foul by Piotr Zielinski (Empoli). Goal! 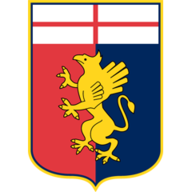 Genoa 1, Empoli 0. Luca Rigoni (Genoa) right footed shot from the centre of the box to the bottom left corner. Assisted by Alessio Cerci with a cross. Offside, Genoa. Diego Laxalt tries a through ball, but Goran Pandev is caught offside. Attempt missed. Piotr Zielinski (Empoli) right footed shot from the right side of the box misses to the right. Assisted by Daniele Croce. Second Half begins Genoa 0, Empoli 0. Substitution, Genoa. Alessio Cerci replaces Suso. First Half ends, Genoa 0, Empoli 0. Attempt blocked. Suso (Genoa) left footed shot from outside the box is blocked. Assisted by Armando Izzo. Attempt saved. Goran Pandev (Genoa) left footed shot from the right side of the box is saved in the centre of the goal. Assisted by Cristian Ansaldi. Marcel Büchel (Empoli) is shown the yellow card for a bad foul. Cristian Ansaldi (Genoa) wins a free kick in the defensive half. Foul by Marcel Büchel (Empoli). Hand ball by Levan Mchedlidze (Empoli). Foul by Luca Rigoni (Genoa). Delay in match Nicolas Burdisso (Genoa) because of an injury. Goran Pandev (Genoa) wins a free kick on the left wing. Foul by Diego Laxalt (Genoa). Marco Zambelli (Empoli) is shown the yellow card for a bad foul. Luca Rigoni (Genoa) wins a free kick on the right wing. Foul by Marco Zambelli (Empoli). Marcel Büchel (Empoli) wins a free kick in the defensive half. Suso (Genoa) wins a free kick on the right wing. Marcel Büchel (Empoli) wins a free kick in the attacking half. Attempt missed. Goran Pandev (Genoa) left footed shot from the left side of the box is just a bit too high. Assisted by Suso. Attempt saved. Luca Rigoni (Genoa) right footed shot from the centre of the box is saved in the centre of the goal. Assisted by Panagiotis Tachtsidis with a headed pass. Attempt blocked. Sebastien De Maio (Genoa) right footed shot from outside the box is blocked. Assisted by Goran Pandev. Offside, Genoa. Sebastien De Maio tries a through ball, but Goran Pandev is caught offside. Offside, Genoa. Tomás Rincón tries a through ball, but Luca Rigoni is caught offside. Sebastien De Maio (Genoa) wins a free kick in the defensive half. Daniele Croce (Empoli) wins a free kick in the attacking half. Attempt saved. Goran Pandev (Genoa) header from the centre of the box is saved in the bottom right corner. Assisted by Tomás Rincón with a cross. Attempt blocked. Goran Pandev (Genoa) left footed shot from outside the box is blocked. Assisted by Cristian Ansaldi. Attempt blocked. Tomás Rincón (Genoa) left footed shot from outside the box is blocked.